And in the leader’s head other questions were rattling around. Were those huge breeding range extensions, found in 2010, just a series of fluke findings, or will the birds still be present and going about their breeding season business three years on? 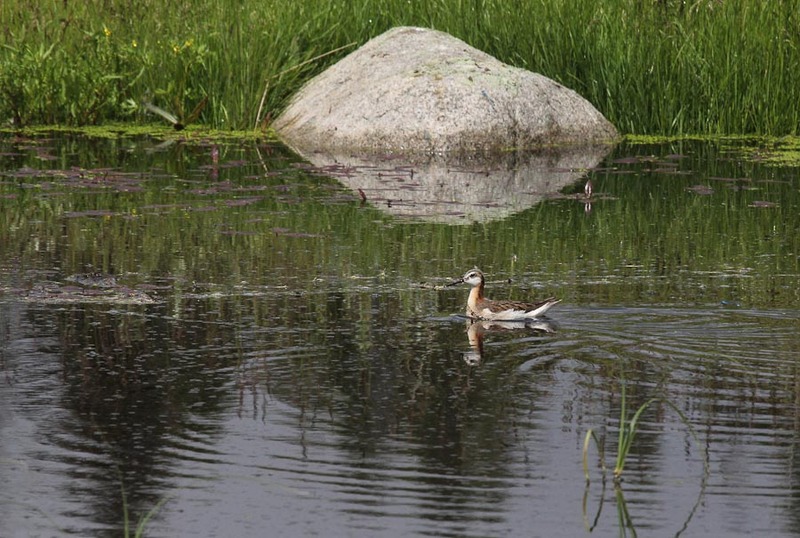 The sixteen birders who took part in the June 22 – 23, 2013 Chilcotin Expedition were about to find out. Click on this, and all pictures below to enlarge. A very early start on Saturday morning under heavy cloud cover did not auger well for the weekend. Birding was slow, and the known location for Grey-cheeked Thrush, the prime target species for almost everyone on the trip, was a complete bust even after we made three visits spread over the course of the morning. Good looks at a Northern Hawk Owl lifted spirits somewhat, but unlike the thrush, it was neither a lifer, nor a BC bird for most participants. Maybe our fortunes would turn if we could somehow appease the birding gods. 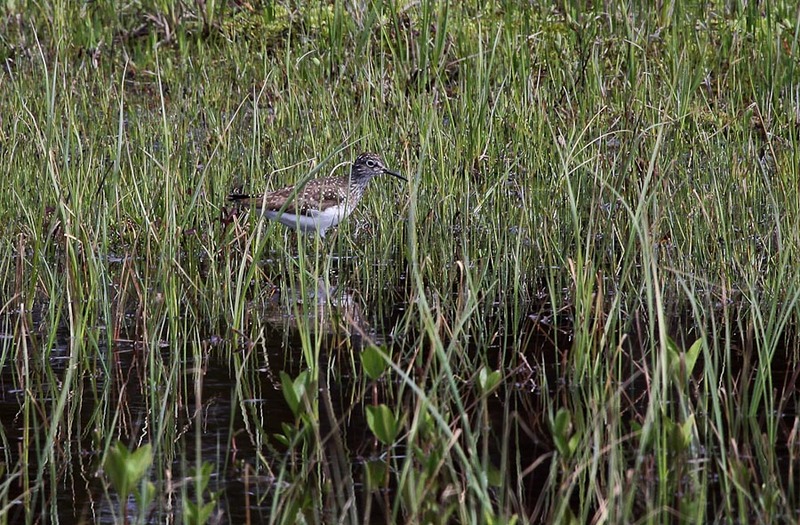 Our next quest was to find breeding Least Sandpiper. 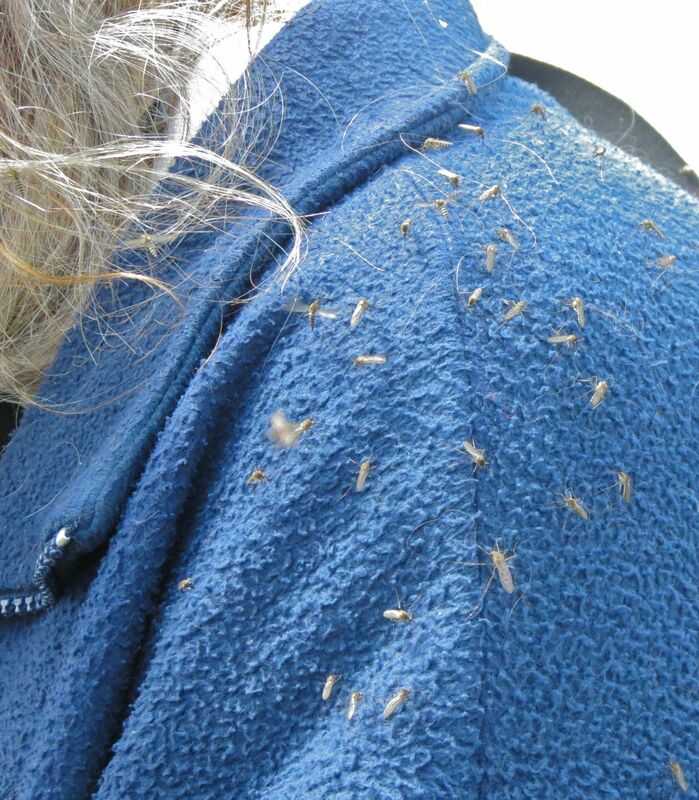 Exploring a beautiful wetland alongside Hwy 20 where the species was discovered nesting in 2010, many of us were paying a price in blood donated to the huge mosquito swarms. Maybe this was a form of appeasement – giving blood in the pursuit of birds. Perhaps we had to pay to be successful. And perhaps so, because our fortunes were soon changing, and we found our Least Sandpiper. A sighting that was all the more satisfying, because we were able to watch at close range a male sandpiper performing a beautiful display flight. Vast tracts of the forests around Heckman Pass were burned in 2009, but we spent some time after lunch exploring an area that had experienced a more recent, small forest fire. 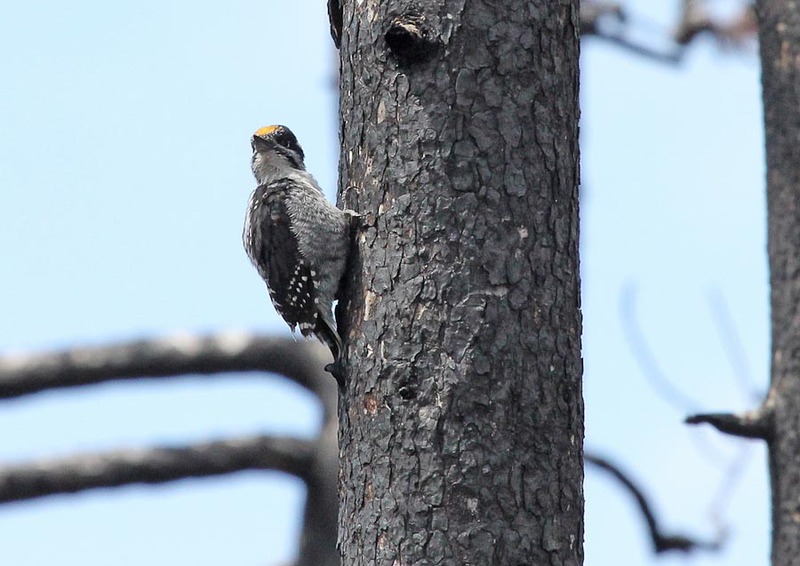 Given the recent burn, it was not too surprising that our first find was an American Three-toed Woodpecker juvenile being fed by its parents. Soon after this nice sighting, we were flummoxed by an unseen bird giving a loud buzzy call note that none of us could place. Various opinions were offered as to the bird’s identity, including by the leader, but all were wrong. Suddenly the bird burst from cover and flew right past us giving a very loud flight call-note. It was a Cathurus thrush, and excitement started to build. Could this be our elusive Gray-cheeked? Finally, we all had excellent binocular and scope views of the bird, and it briefly burst into song for us, confirming its identity. The day had taken a turn for the better – a lifer for some, and a BC bird for many. 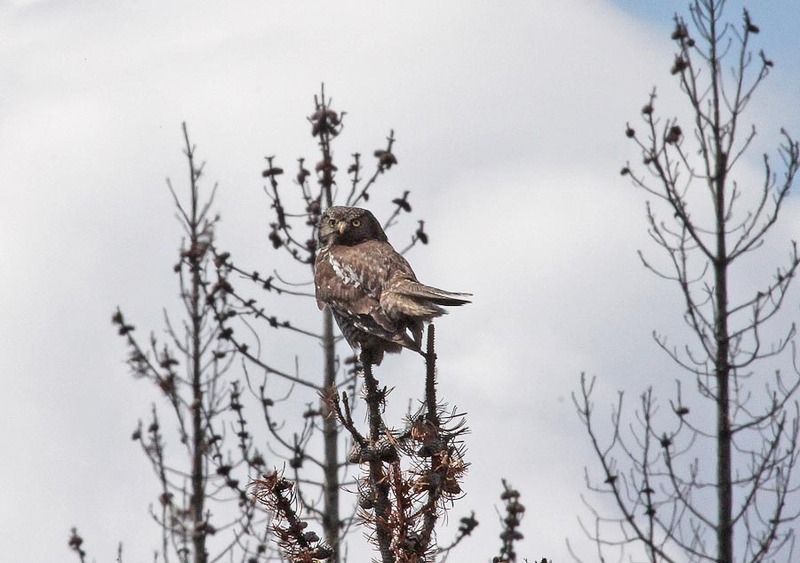 Among other sightings, Rusty Blackbirds and a second Northern Hawk Owl were added to our list, and we were soon heading back, in high spirits, to our cabins and campers at the Anahim Lake Resort to have dinner and consider our plans for the Yellow Rail. However, some evening rain (our only daylight rain for the whole weekend) brought a quick end to our first attempt to “see” the rail. Next morning we were all ready to go, kitted out in gumboots, and hiking poles to get to the Yellow Rail location. Unfortunately, our hummocky field of dreams was seriously flooded. It was going to be a tough slog. In fact, it was too tough for many; boots were rapidly filled, and falls into the flooded field dampened resolves to get what was, at best, likely to be a few tick-tick tick-tick-ticks. Eventually, only five of us, soaked but determined arrived at the rail zone. After a little wait, and briefly playing a tape, we heard the distinctive ticks. Yes! Success. Wanting everyone of the five to get a good “listen”, we walked out further to the edge of an area where a second rail was heard ticking. Everyone soon had a good listen to our quarry. Then, as we were about to leave, we asked Bryan Gates to try, one last time, his patented “loonie-on-a-toonie, hand-operated rail call” to perhaps get our farewell listen. As Bryan started to tick, no more than five meters from his feet, a Yellow Rail burst into flight, and flew about 15 meters giving cracking views for everyone. It doesn’t get better than that. Seeing a Yellow Rail, seeing it in flight, is usually reserved for our wildest dreams, and this field of dreams had delivered! 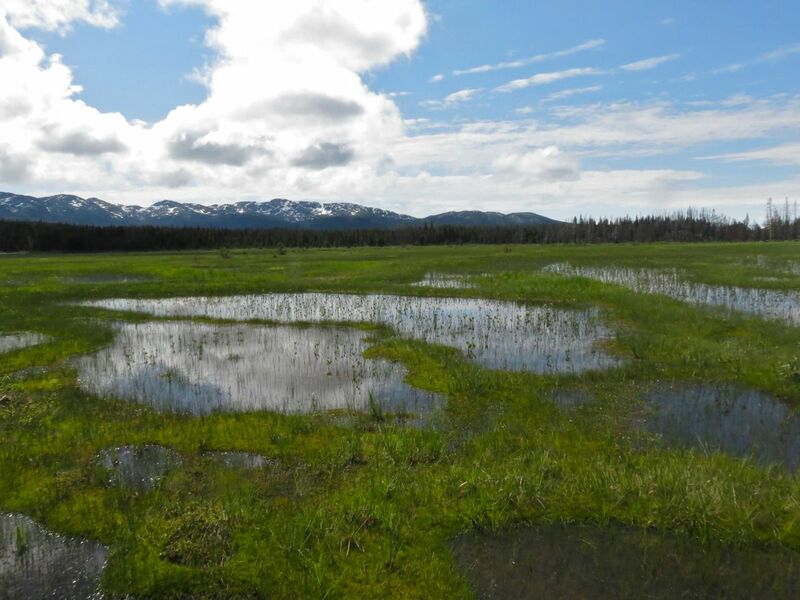 Lesser Yellowlegs was also seen here, and the field was seemingly filled with calling Soras. An American Bittern and a Long-billed Curlew provided some icing on the cake. 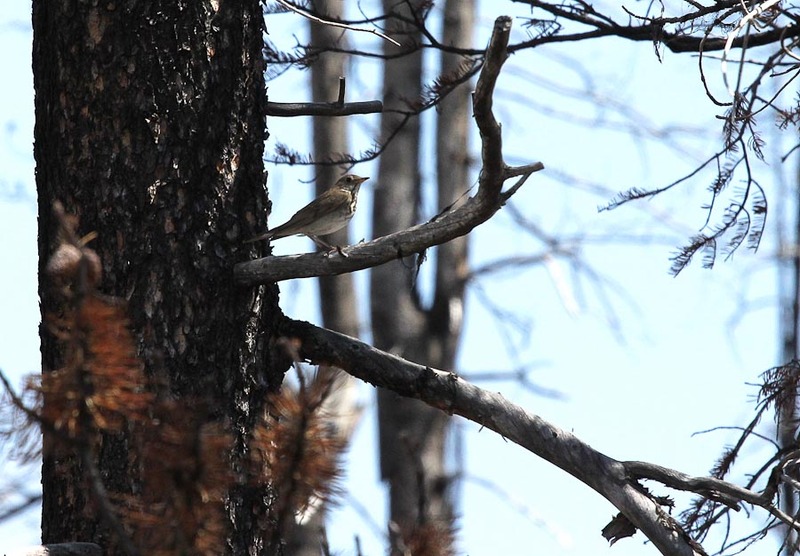 Blackpoll Warblers were common throughout the region, both around Anahim Lake and Heckman Pass. So we SAW all our targets, and 103 species in total for the two-day trip. Not too shabby. I believe the American Bittern sightings at the rail field, and another at Anahim Lake are new locations for this species, and an indication that there are probably even more discoveries to be made in this wonderful, under-birded area. 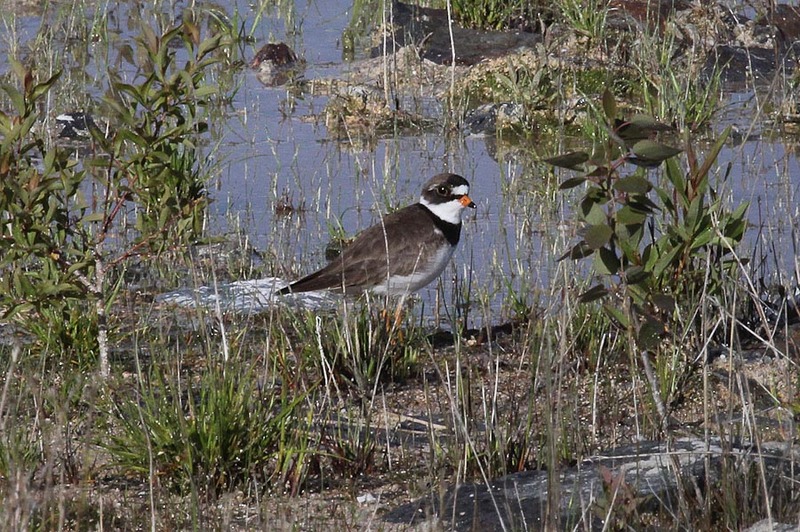 On Monday morning, a small convoy of cars heading home for the Coast and points North made a brief stop at Eagle Lake, where we were hoped to find the breeding Arctic Terns and Semi-palmated Plovers known at this location. These are yet another two species that fit the pattern of West Chilcotin birds breeding far outside their usual breeding ranges. Both were quickly and easily located in about 30 minutes, and our brief visit likely qualifies as the quickest ever successful extension trip in BCFO history! A full report of the 2013 Chilcotin Expedition will be published in the next issue of BC Birding along with a full species list, and more photographs.